We get it; your tiny apartment has little room to spare for seating. 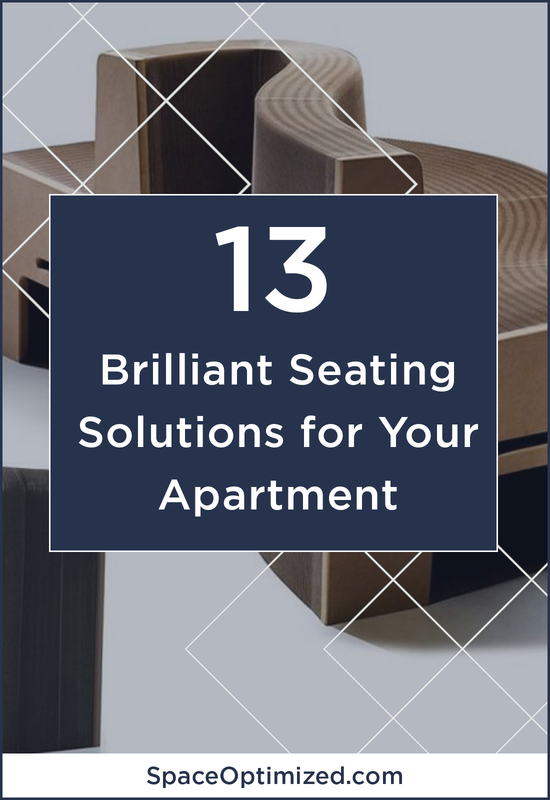 But don’t send your guests packing, there are so many smart (and stylish) ways to add more seating to the tiniest of living rooms! Poufs are similar to a bean bag, they are elegant soft chairs that come in a million styles to choose from. 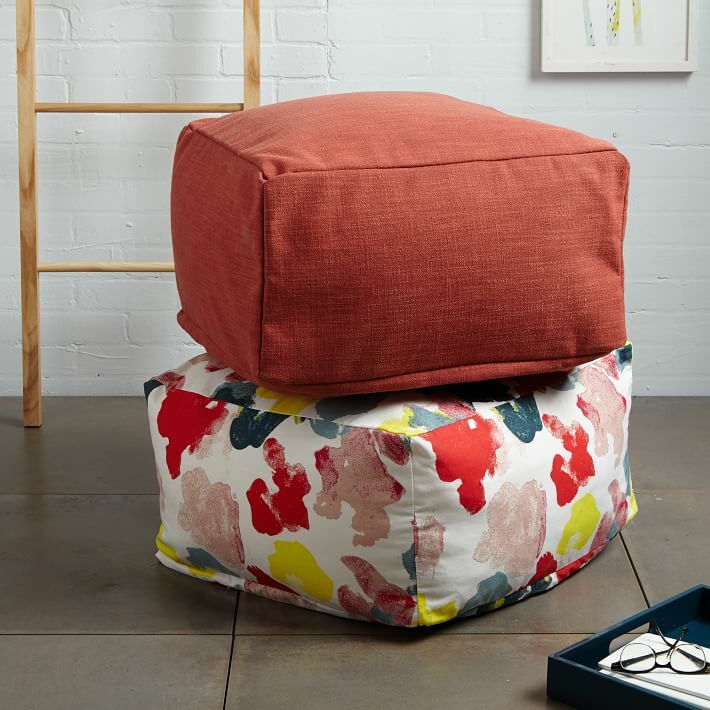 Always compact and flexible, these bean bags for grown-ups add more seating spaces for guests. Just add a couple into your living room and voila, you got instant seats for sleepovers! Because they are compact, you can simply stow them away in a closet when they’re not in use. Go for bold print or brightly colored poufs for a splash of color to your tiny apartment or neutrals to match your interiors. West Elm offers customized poufs just in case you’re looking for a unique living room accent. What in tarnation is a flexible chair and where do you get one? 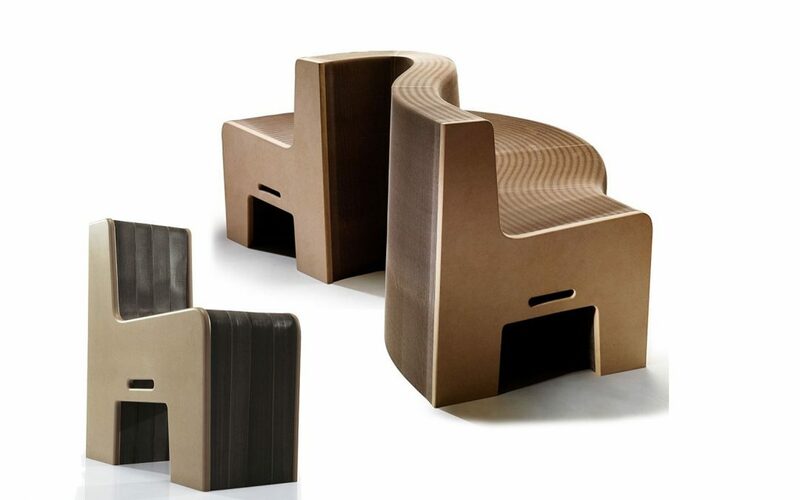 A flexible chair is an ExpandFurniture innovation, an accordion-like chair that could seat 4 people. 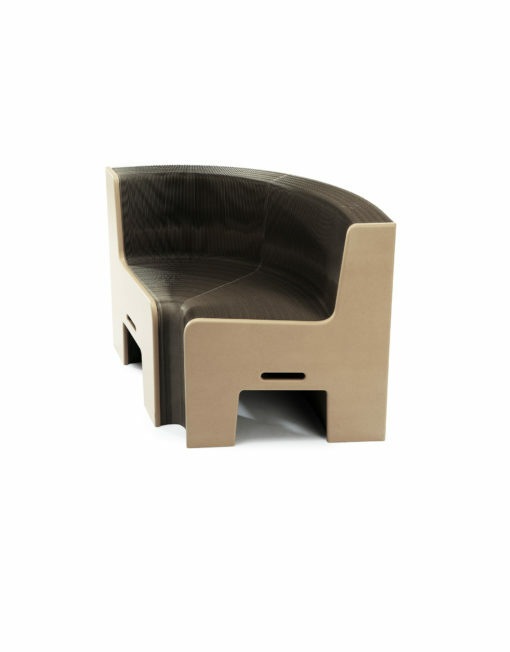 When not in use, the flexible chair is about the size of an ordinary chair. It’s compact enough to be stowed under the desk. But when company arrives, just pull the chair to its maximum length and you’ve got a sizable bench! The best part about the flexible chair? You can manipulate the shape of the chair as you please. Think of it as a living art that goes so well with your interiors. The living room is the place of gathering but if it’s too cramped for a full-sized sectional sofa, why not add a couple of storage bench? Storage benches come in an array of styles and sizes to choose from. You can get smaller 2-seaters for your tiny apartment or a longer storage bench to accommodate even more guests! These stylish seating solutions offer concealed storage area to keep your living space neat and organized. Wayfair offers a variety of storage benches in every conceivable style to choose from. One of our favorites is the Clare Tokatli upholstered storage bench! Love the bold print, the seamless design and of course, the sizable storage hidden inside. Decorative stools add a touch of sophistication in a space, don’t you agree? These are cozy furniture that works nicely in small spaces, such as a tiny living area. Just add a couple of accent stools in an already-full living room and you’ve got extra seats for more guests. 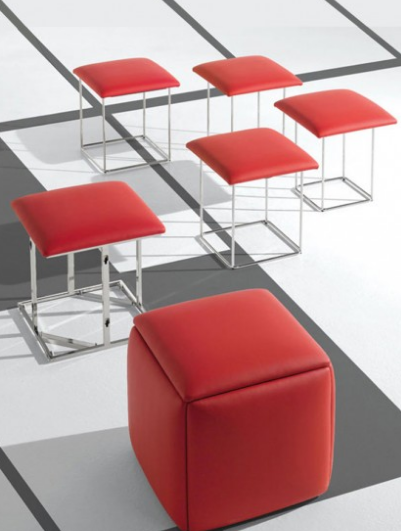 Accent stools come in a variety of styles to complement any interiors so you’re never out of options. AllModern furniture offers some of the most stunning accent stools I’ve ever seen. 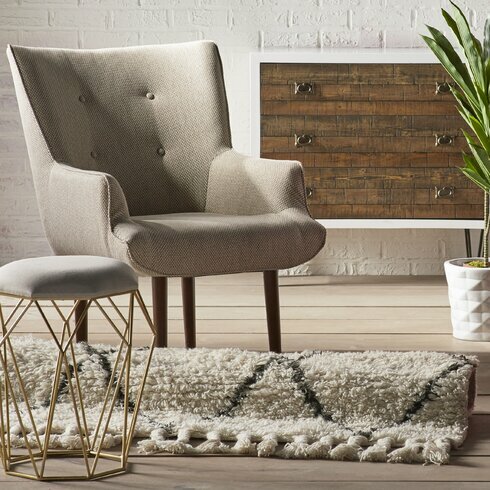 One of the pieces that caught my eye is the Sybelle accent stool. This contemporary stool has the perfect size for a tiny apartment. The geometric frame is striking but it never disturbs the aesthetic of a space. The neutral cushioned top and shimmery finish suit classic and modern homes alike. 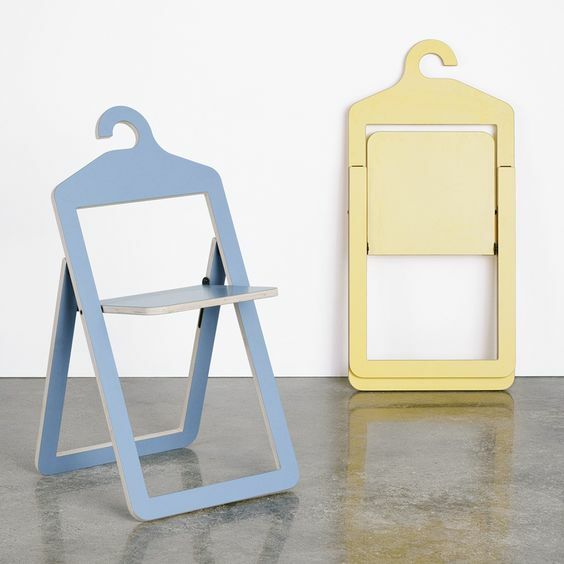 Folding chairs are such versatile pieces of furniture! Unfold a couple (or ten) in the living room at a moment’s notice and you have more room to entertain guests. Because these chairs are sleek and compact, they will fit an already-full living room. Crate and Barrel’s folding wooden chairs make a lovely addition to any contemporary home. When not in use, these chairs fold nicely to take even less space in storage. Pretty convenient when you’re working with modest spaces. A step-up from your average folding chair is a ballroom folding chair. 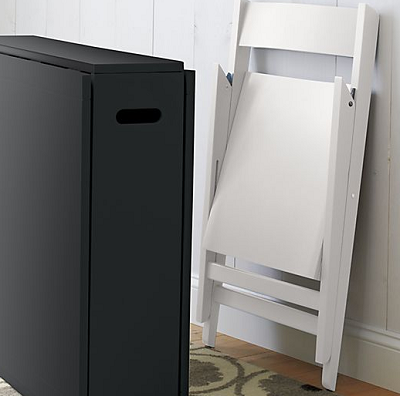 A ballroom folding chair is easy to set up, perfect for impromptu visits. The skinny design means it won’t overwhelm a small space. It also folds conveniently just like a regular folding chair so storage isn’t problematic at all. Even better, Ballroom folding chairs are usually sold in pairs so you get extra seating without spending more! 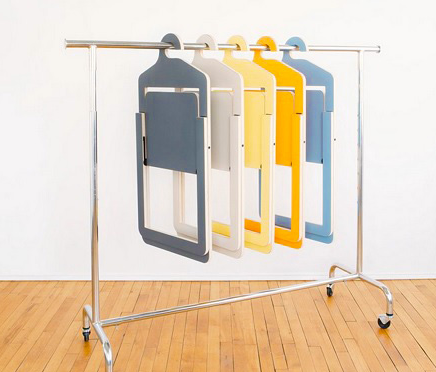 When you have no room to spare for ordinary folding chairs, consider investing on these nifty hanging chairs! Designed by Philippe Malouin, these hanging chairs were made with tiny urban homes in mind. When not in use, these decorative chairs fold neatly for easy storage. The backrest is shaped like a hanger so you can simply hang it on the wall until your next gathering. 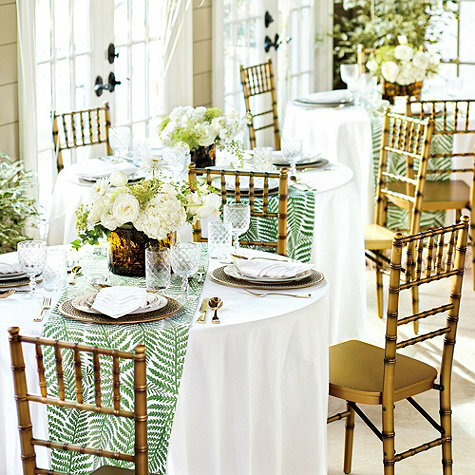 When guests arrive, these decorative chairs unfold with ease! 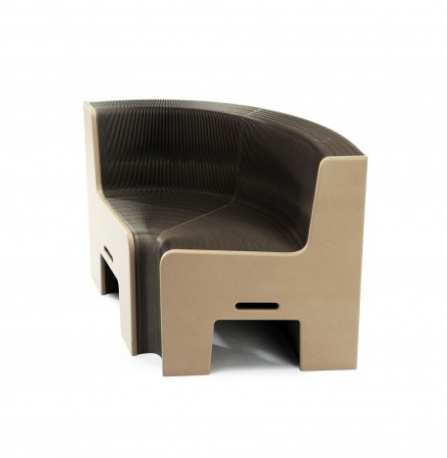 The chairs are made with birch wood and they come in an array of colors to choose from! 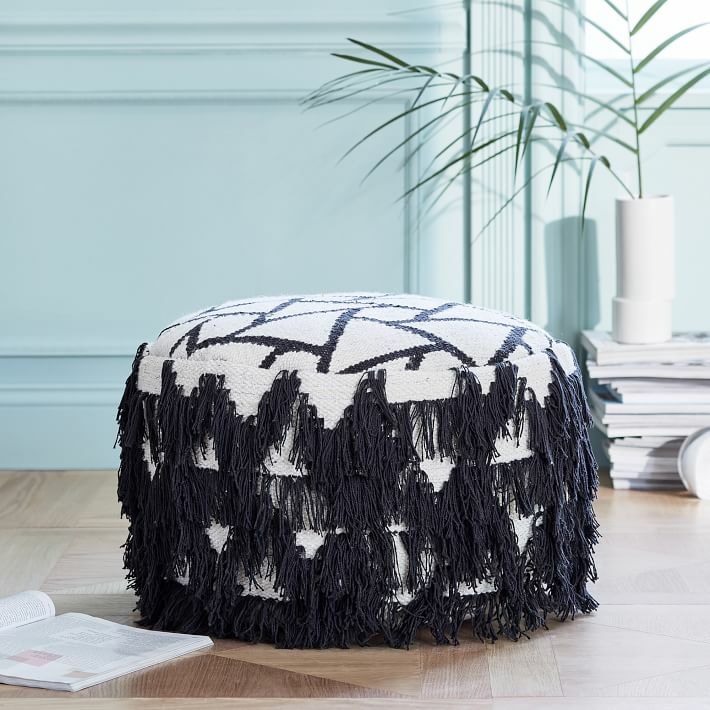 We’re huge fans of storage ottomans! They make the perfect addition to a small living room. These multi-purpose home accents work as a foot stool, an extra seat, and even as a coffee table! Storage ottomans also come with hidden storage, a godsend for tiny spaces. 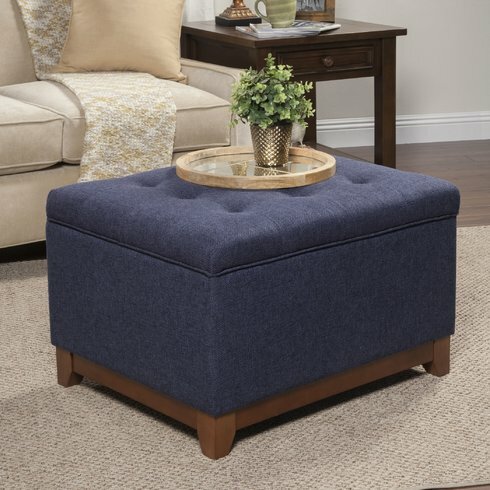 The Nunnally Upholstered Ottoman by Alcott Hill is a stylish ottoman that moonlights as a coffee/cocktail table. Pop the hinged lid and it reveals generous storage space for entertaining guests! 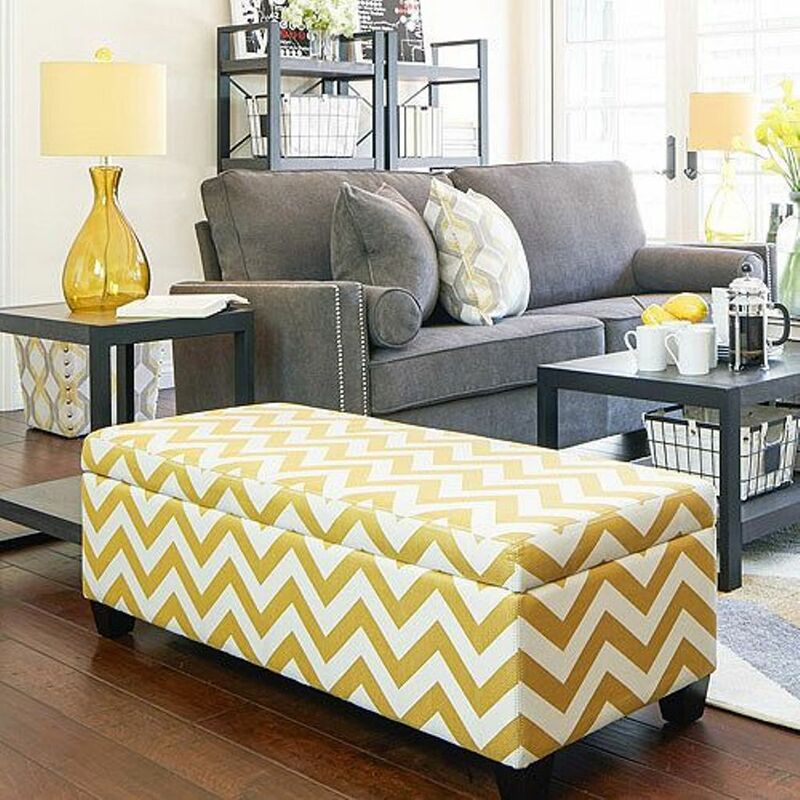 Since this storage ottoman pulls double duty as a coffee table, you get to save even more space! A floor pillow is a fantastic alternative to a traditional pouf. With floor pillows, there is always room for your friends in your tiny apartment. 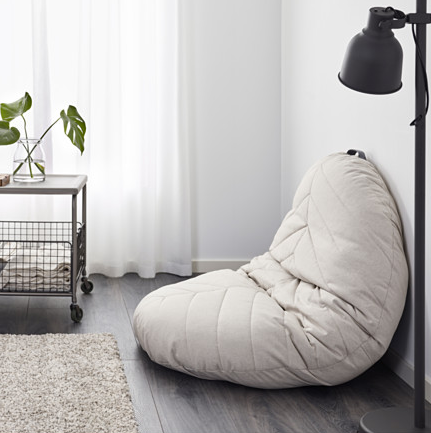 The Dihult floor pillow by IKEA is large enough to seat several guests yet so space-friendly. 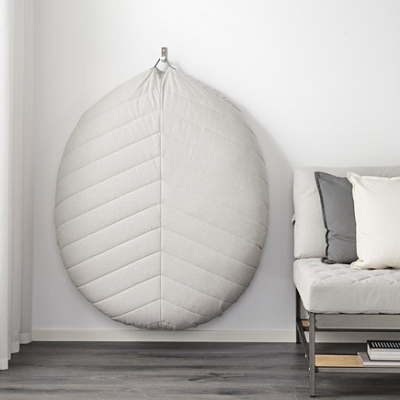 You can hang the floor pillow on the wall so it takes up less space while in storage. 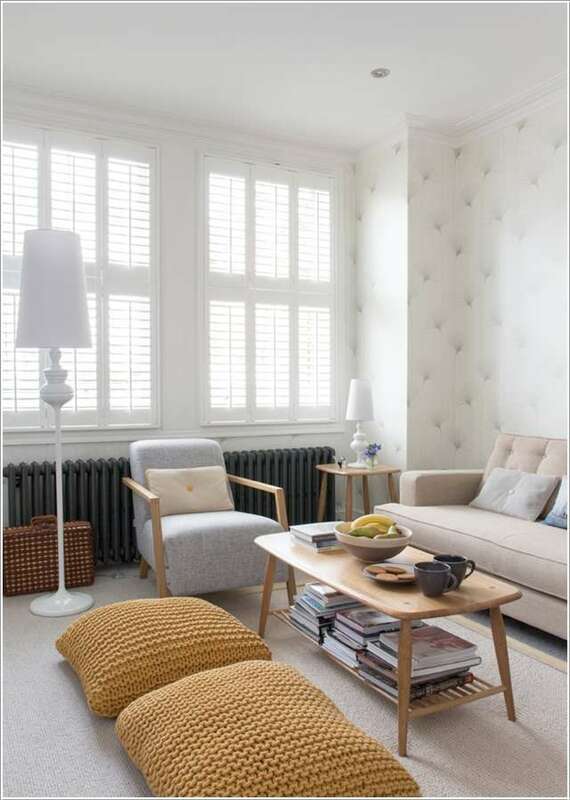 You can prop the Dihult floor pillow flat on the floor or against the wall for a comfy backrest! Petite garden seats are a clever way of sneaking extra seats in a tiny apartment. It’s the perfect home accessory for the space-strapped because these outdoor seats are compact, stylish, and affordable. 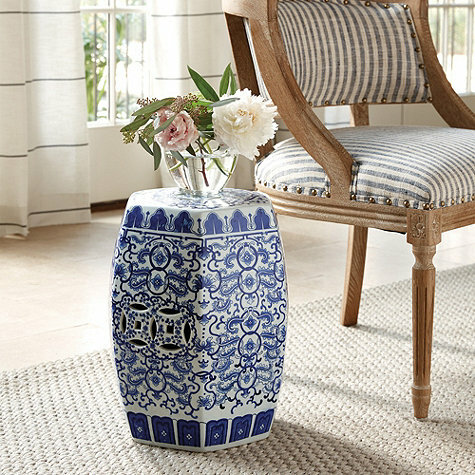 The Ling Garden Seat by Ballard Designs is an intricate blue and white garden seat made of porcelain. It’s a stunning piece that’s sure to complete the look of your living room. It pulls double duty as a pull-up perch for guests as well as a cocktail table. Got no room for full-sized accent chairs? A slipper chair makes a sensible sub! A slipper chair is smaller than your average chair but they are just as comfortable and functional. It’s a great compromise for spaces that are just too cramped for full-sized furniture. 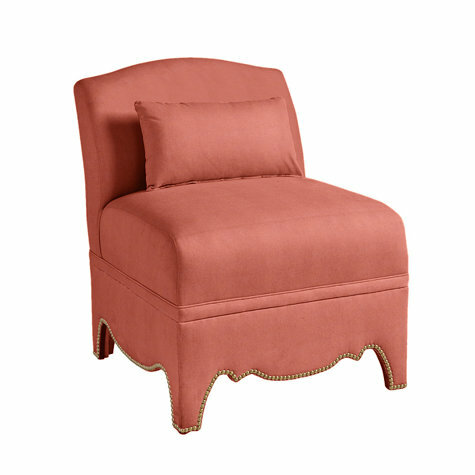 The Amal Slipper Chair by Ballard Design comes in a variety of base fabrics to choose from. It’s completely customizable too! You can personalize everything from the welt to the lumbar pillow, a great choice if you want a unique accent chair to showcase your personal style. Yet another Expand Furniture innovation, this ottoman chair looks like your ordinary, run-of-the-mill ottoman but it’s anything but! 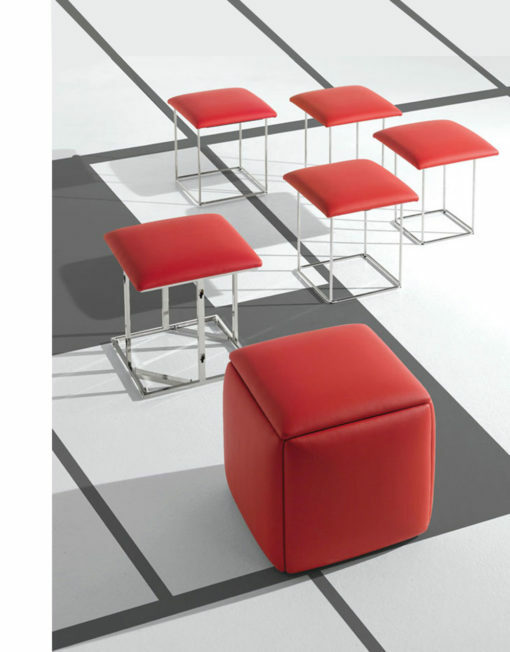 This is a 5-in-1 transforming furniture that offers more seating options during get-togethers. 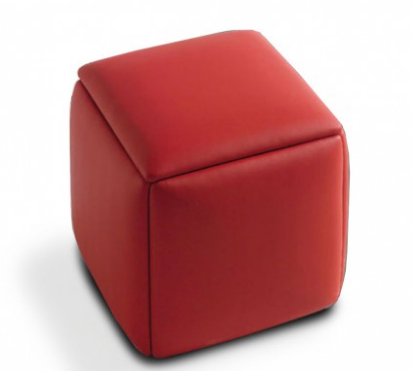 When not in use, the ottoman chair looks like an ordinary cube foot stool. But when company arrives, pop the cube open and it reveals 4 seats + the ottoman chair, seating a total of 5 guests. Pretty neat, huh? You can get this transforming seat as a special order to customize the base fabric. While offering the floor isn’t the most ideal when entertaining guests, it’s a nice option for quick get-togethers. A floor cushion is a smaller version of a floor pillow. You can keep several of these cushions under a coffee table or in a cabinet. When there’s company, you can simply prop the floor cushions for instant seating. 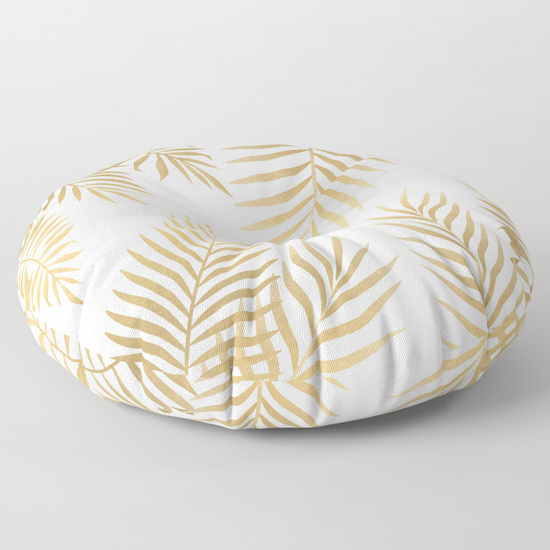 Society6 has a dizzying array of chic, semi-firm floor cushions like the lovely piece pictured above!